The Google event is tomorrow and there is a lot that we are going to see. From a new version of Android to new Android devices, we are going to get a wide range of things to ponder and lust over and there will likely even be a few surprises. There are some things that are a given: Two new Nexus phones, Android Marshmallow and a new Chromecast device. But what else could we see? I think there is a greater that zero chance we will see a lot more from the Googlers. Again, this one is a given. We will see not one but two new Nexus phones. The Nexus 5X is 5.2″ device powered by the Snapdragon 808 processor while the Nexus 6P will be a 5.7″ device running the Snapdragon 810 processor. The Nexus 5X is expected to be full HD while the 6P will be QuadHD and both will have over 400PPI so they are going to be ultra crisp and clean viewing displays no matter which size device you choose. The Nexus 6P will come with the option of 128GB storage on board, a first for a Nexus device, while the 5X will come in 16/32/64GB of storage. From a camera perspective, the 6P will have a 20MP camera while the 5X will only have a 13MP rear shooter. Finally, both will have a fingerprint scanner for authentication, something that is supported in Android Marshmallow which these devices will be running. Most of what we know on the Nexus 5X and 6P are already leaked so I don’t think we are going to see any surprises with the actual release tomorrow. I suspect both devices will go on sale in October. This one is again in the not-so-surprising category. Android Marshmallow has been in beta since the Google I/O event in July and we will get the RTM (Release To Manufacture) tomorrow. Android Marshmallow is very much an evolutionary step over Lollipop but brings some important features to Android devices. First, fingerprint authentication is now supported for authentication as reflected in the two new Nexus devices. There is also a lot more app permissions controls in Marshmallow, something you have likely seen in the last few weeks as Google and other developers have been updating their applications to support it. Doze is another key and important feature which will make a massive improvement on battery life by better managing background processes while your phone is asleep. Finally there is Google Now on Tap which will give you contextual information for the information you are viewing on your device. Android Marshmallow should be released to Nexus devices next week, possibly as early as next Monday, October 5th. Samsung and other OEMs have indicated that the update will be coming to some of their newer devices but when that will actually happen is an unknown. As for Google, the Nexus 5, Nexus 6, Nexus 7, Nexus 9 and Nexus Player should all see the update in a matter of days. There will be a big update to the Chromecast and Nexus Player devices that are going to not only allow you to stream video content to your connected television but also music. There should be a nice upgrade as for as video and audio quality is concerned and expect to see a bit more streamlined services available on the device. The Chromecast is Google’s trojan horse in many ways for a device that is around $50, it is mighty powerful in what it can do. With the pressure on from the likes of Apple with their AppleTV, expect to see a much improved Nexus Player for gaming, streaming services and content. While all the focus has been on the Nexus 5X and Nexus 6P, don’t be surprised if Google manages to sneak in an update Android tablet tomorrow. 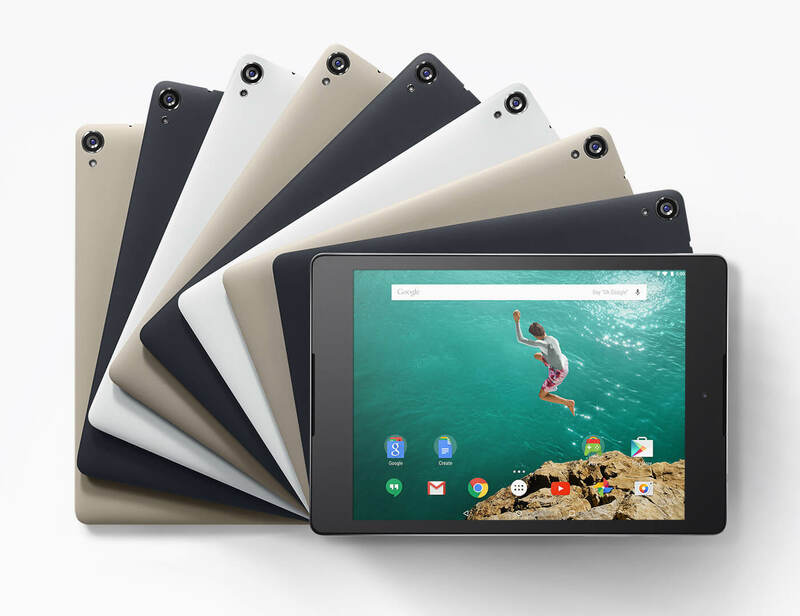 The Nexus 9 has been a great device and continues to sell well as the prices continue to drop. It could be an Apple-esque update to the Nexus 9 (improved processor, camera, etc but same chassis) or it could be a smaller replacement for the Nexus 7. There has not been a lot of rumors or discussion around a new tablet and in this day of everything-leaks-before-release, that does actually mean something. But Google – as Apple and Microsoft have recently proven – can keep things secret if they really push the issue. There have been a few rumors around that Google may be making an announcement around Project Fi, their mobile service for the Nexus 6. For sure we are going to see Project Fi supported in the new Nexus 5X and 6P but we could also see an announcement of Google expanding their own network to support the solution. That could be through building up their own infrastructure or could be through a significant investment into one of their backbone providers like Sprint. I don’t expect to see this being supported by other devices – not yet at least – but I do think we will hear at least a tidbit about what the company is planning on doing with Fi over the course of the next year. No matter what Google announces tomorrow, it will be huge day for the company and those who use their solutions & services. What are you looking forward to seeing the most?